Hey everyone! 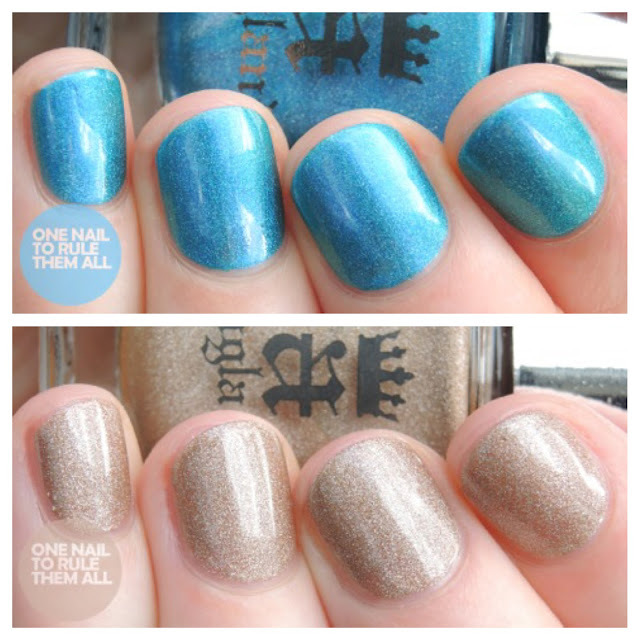 Today I have the last couple of A-England polishes I mentioned in my last review to show you. I've got tonnes of great stuff to show you at the moment, both nail art and reviews, that it's hard to find the time to put it all out there and as a result I just panic and it gets delayed even more. I always have a tendency to get less done when I have more to do, does that make sense to anyone else? Anyway, these two gorgeous polishes are the latest additions to A-England's Heavenly Quotes collection. 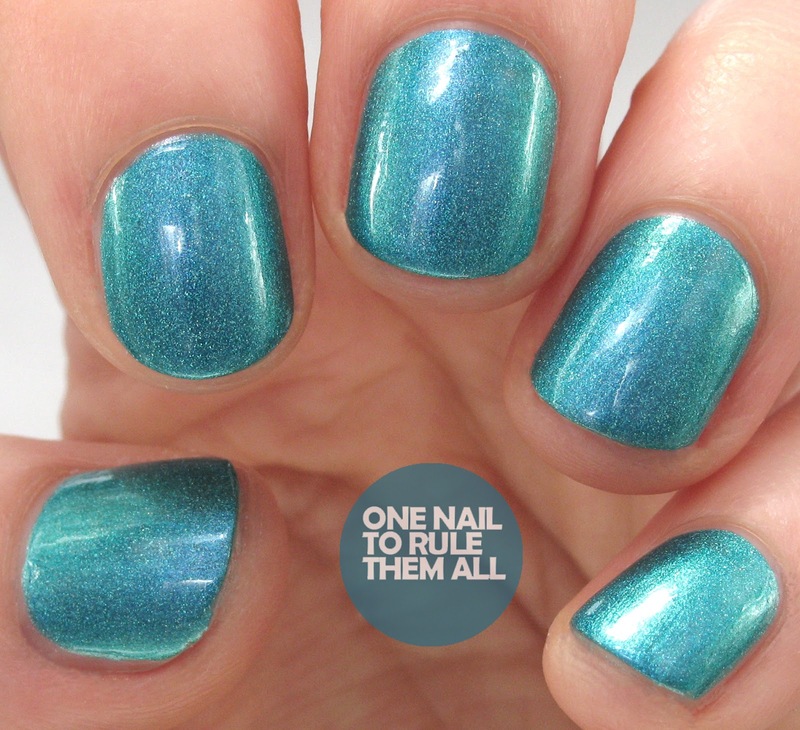 You will have seen Sparks Divine in my last post, and so I'm sure you've already seen what a stunning shade it is. As these, and the previous polishes I showed you, are my first A-England polishes, I don't own any of the other polishes in this collection so I cannot attest for their quality. However, these are definitely worth picking up, and if these are anything to go by I'm sure the rest of the collection are great too! Read on after the jump for my full review. As with my last A-England posts, I've done 'inside' shots with my lightbox as the full five-finger shots, and natural daylight shots for the other pictures to show the differences. These polishes retail at £9 each and can be found on A-England's website here. For a full list of stockists around the world click here. What do you think? Do you own either of these? Let me know in the comments! Sparks Divine is beautiful but not really my colour. However, Whispering Waves is right up my street and stunning. It reminds me so much of holidays in the sun and turquoise water splashing onto white, sandy beaches!